It’s nearly that time again and our volunteers will start heading to the north of Scotland to watch the annual migration of Orca passed the Hebrides and the Northern Isles. So what makes Orca so special? First of all, because we find them here in the UK! 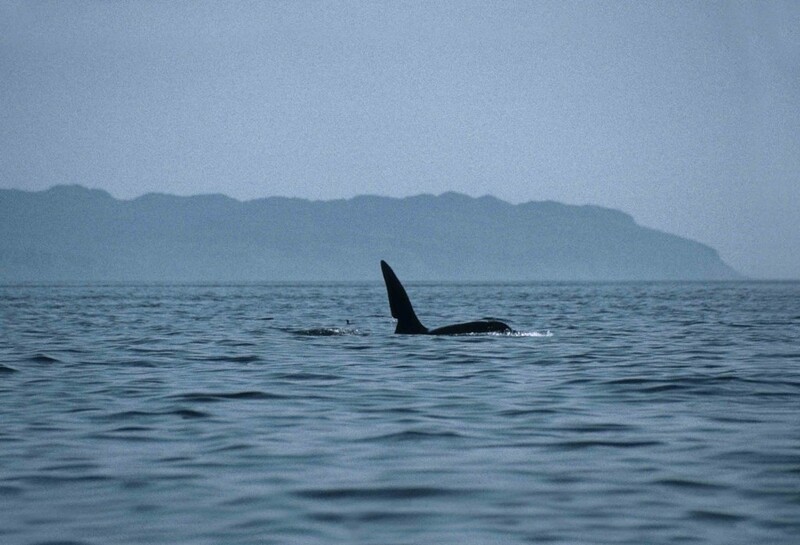 We have a group of 9 resident Orca they are often seen around the Hebrides, and are known as the West Coast Community. They are sighted all year round throughout the Hebrides. These resident Orca don’t mix with the transients we get traveling down from Iceland. We’ve also had sightings of Orca off Cornwall and even Wales! Orca are a cosmopolitan species, having populations throughout every ocean in the world, but these populations aren’t all the same, having adopted a variety of prey choices. The different populations pass down their ‘cultures’ from older members of the pod to the younger. One Orca known as Granny is estimated to have been as old as 105 at the time of her death. These different populations not only eat different prey but also are believed to live completely independent of each other, not socialising or breeding with each other. These separate populations are referred to as ‘ecotypes’. Orcas are also probably one of the most easily identified marine mammals, with their striking black and white colouration, and saddle patch and eye patch. Their dorsal fin is also unlike any other marine mammal, it’s very tall (up to 1.8m) triangular, and erect in an adult male, though it can sometimes tilt. The female and immatures have a smaller, distinctly curved fin. At sea, the species is easily identified by its conspicuous black & white coloration and tall dorsal fin. This isn’t even probably half the reason why Orcas are so special, maybe the question should have been why aren’t Orcas special! Hopefully, this has whet your appetite for some Orca spotting if so read below for more information about our upcoming Orca Watch. This years Orca watch is fast approaching so why not come and join us between the 26th of May and the 2nd of June and spot some Orca! The aim of the week is to collect vital data on both the orca and other whale and dolphin species that pass through the Pentland Firth. The watch week is chosen as it coincides with the annual passage of Orca from Iceland to hunting areas around Orkney and the Pentland Firth. Originally instigated by Sea Watch Regional Coordinator Colin Bird, the event is now in its seventh year and is growing in popularity. We are really pleased about this and welcome collaboration from other organisations to ensure that this event reaches as many people as possible! This year, whilst our main base will be Dunscansby Head, we’re looking for your help to expand the data collection to other sites in North Scotland, Orkney and Shetland. We’re hoping this will be a great way for locals to get involved in their own patch as well as giving you the flexibility to add to the event whenever suits you! Organised watches feature on the event list below, but if you’d like to run a watch of your own at a recommended watch site please click here. If you’d like even more information about Orca Watch before you decide to join us, you can find information here. 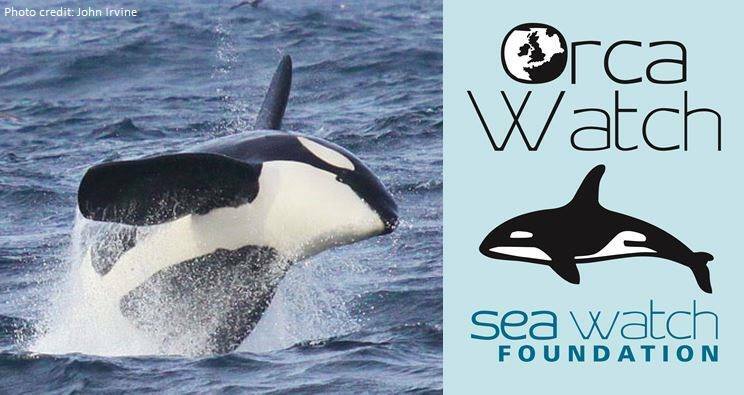 You can also join Sea Watch and do your own sea watching until then, you can see whales and dolphins all around the UK’s coastline- more details are available on the website.